Me: What is your favorite Dr. Seuss book? Me (asking slightly louder in case his anti-dad voice filter was turned up a little too high): Can you tell me what your favorite Dr.Seuss book is? Son (long pause, letting me know that my voice penetrated his filter to some small degree): Huh? Me (in yet a louder voice – as if volume was the problem): Which Dr. Seuss book is your favorite? Son (in an irritated voice as I’ve interrupted the pivotal scene of his Scooby Doo cartoon): What? Me (in as loud and as authoritative voice as I can muster): Son, please tell me what your favorite Dr. Seuss book is or I’m going to tell your mom to punish you or something. Me (pausing to consider my limited knowledge of Dr. Seuss books, then…): Yogurt, isn’t a Dr. Seuss book. Can you please tell me what your favorite Dr. Seuss book is or do I have to wake up mommy so that she can turn off your cartoon? Son (the second mention of mommy has done the trick): Dad, did you see what Scooby and Shaggy just did? They were running and then Scooby saw pizza and ate it and then the bad guy grabbed Shaggy but Shaggy got away and then he turned to stone and then an alien came and took Fred away but it wasn’t an alien, Green Eggs and Ham, and it was really a guy who owned the pizza shop but he was caught and…Watch dad! Me: So, can you tell me what your favorite Dr. Seuss book is? Son (exasperated): I already told you. Me: (searching my memory then…): Why is The Cat in the Hat your favorite? 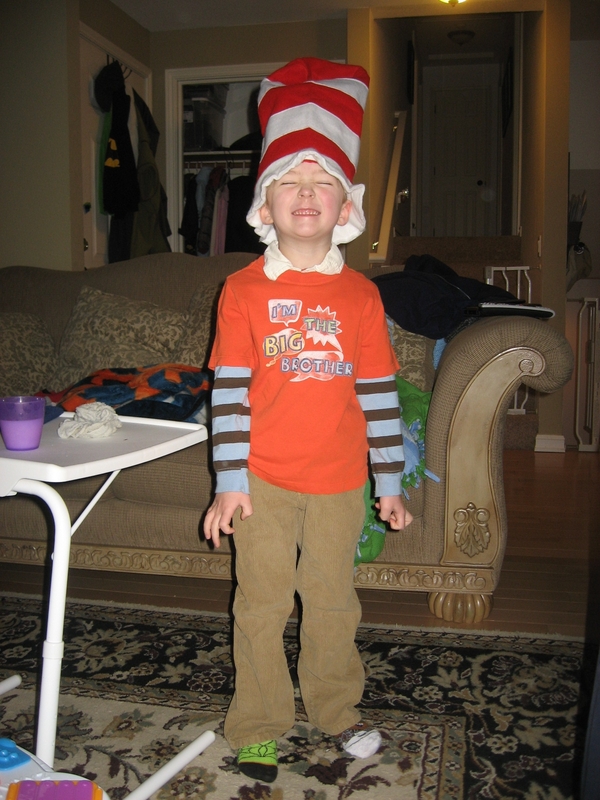 Son: (losing all patience): Agh, I didn’t say The Cat in the Hat! Me: Oh. What did you say? Son (in a loud voice so as to insure that his voice penetrates his dad’s anti-son voice filter): I said Green Eggs and Ham!!!! Me (happy that we were getting somewhere on this book review): That is a good one. What do you like about Green Eggs and Ham? Son: Can I play on the iPad? Me (desperately): After you tell me what you like about the book? Me: Green Eggs and Ham! Son: Can I play the iPad?